Since I decided to pursue my dreams in makeup art, I have been emerging myself in beauty and makeup books, blogs and images. I am forever reading and researching - there is so much to learn and take in. Bobbi Brown Makeup Manual - this for everyone, 'beginner to pro' and it is awesome. It includes really good, basic step-by-step examples. My favourite chapter is chapter 10 'Essential Equipment for the Professional' where it lists, item by item, everything you need in a pro makeup kit. But even if you are not a makeup artist, it is still a book you will enjoy for the beautiful and very 'Bobbi' pictures alone. £16.25 from Amazon. 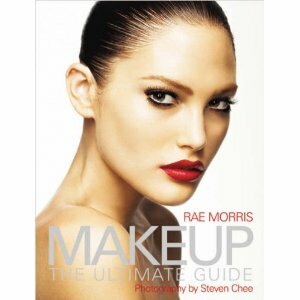 Makeup, The Ultimate Guide by Rae Morris - this holds a special place in my heart as Rae was the first makeup artist I became aware of and this was the first makeup book I bought. It has a great chapter on colour theory and colour charts depending on eye colour. She also uses some more mature aged models in there which is great for anyone over the age of 30 .... £12.23 on Amazon. Nylon Pretty, The Nylon Book of Beauty - this is a recent purchase and it was a good one. Produced by the good people at Nylon magazine, it starts with a list of cult classic makeup products then moves in to inspiration showing vintage references from everyone from Jean Harlow in the 1920's to Shannen Doherty from 90210 in the late 1990's. A great reference to have. £12.55 on Amazon. Helena Rubenstein, The Woman Who Invented Beauty by Michele Fitoussi - I'm not usually a fan of historic biographies but this book is making me change my mind. Her story is fascinating and inspiring and a bit of a rags to riches tale which starts in Poland, moves to Australia, then on to London and I am only a quarter of the way through! £6.47 on Amazon.